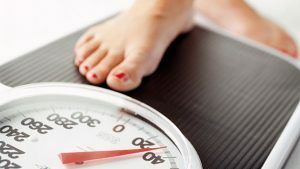 With concerns about weight gain being so pervasive, it may help to know that recent research indicated that those taking anti-depressants may put on a few pounds. Moreover, the study, which involved nearly 20,000 adults treated with anti-depressants, revealed that some medications are associated with more weight gain than others. Specifically, people talking citalopram (Celexa), a member of a class of anti-depressants known as “selective serotonin re-uptake inhibitors” (SSRIs), gained more than two and a half pounds on average over the course of a year. Patients taking other SSRIs, such as fluoxetine (Prozac), gained on average a pound and a half; those taking sertraline (Zoloft) gained nearly two pounds. Conversely, patients taking bupropion (Wellbutrin) lost an average of half a pound. Most anti-depressants can cause weight gain, and different drugs can affect individuals differently. If you are concerned about your medication and weight gain, we recommend speaking with your doctor. If you have any questions about medicines please call us at 866-444-6290 for answers. We have 12 area locations to serve you. We’re more than a pharmacy, we’re family! We can tailor a program to your personal diabetic needs. We also have a specialized compounding pharmacy for those with specific prescription doses.